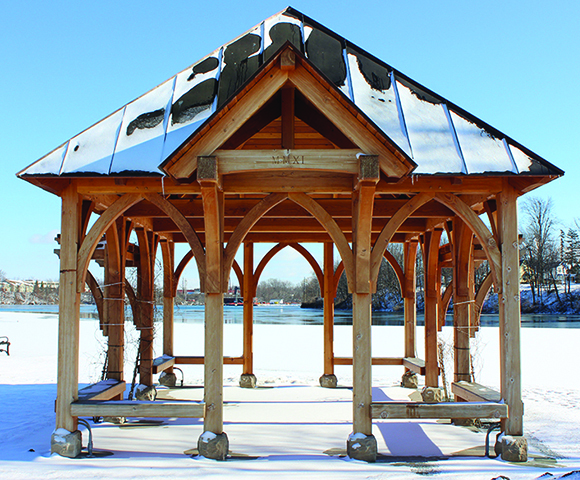 The Suffrage Park Pavilion is a timber frame structure designed by Noah Demarest while working with Trowbridge Wolf Michaels Landscape Architects as part of several streetscape improvements in Seneca Falls, NY. 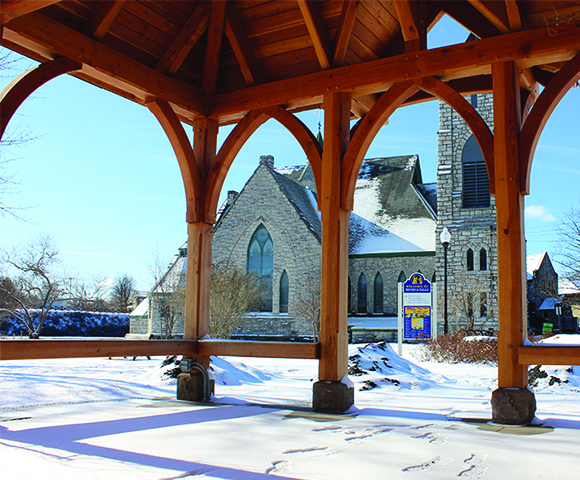 The pavilion was inspired by the gothic arches, limestone blocks, and copper roof of the adjacent church. 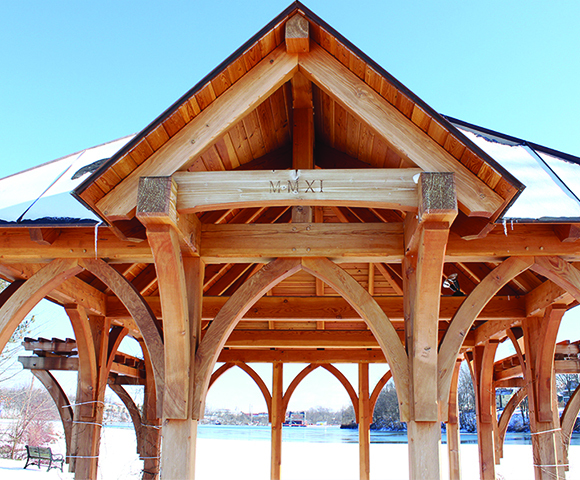 It is intended to be used for both informal and formal gatherings along the Seneca Falls waterfront. 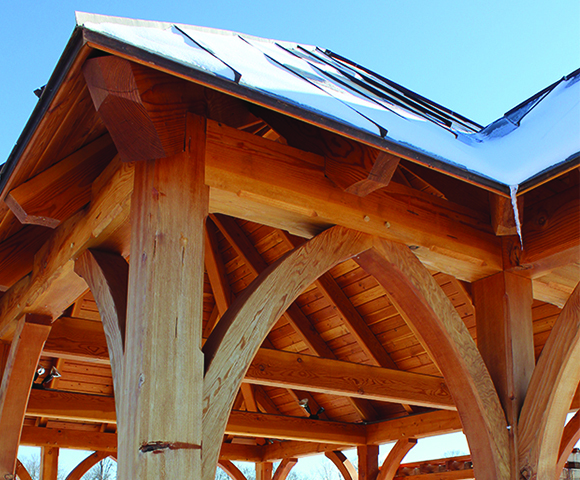 The timber frame was constructed by New Energy Works Timberframers in MMXI.